Good morning! 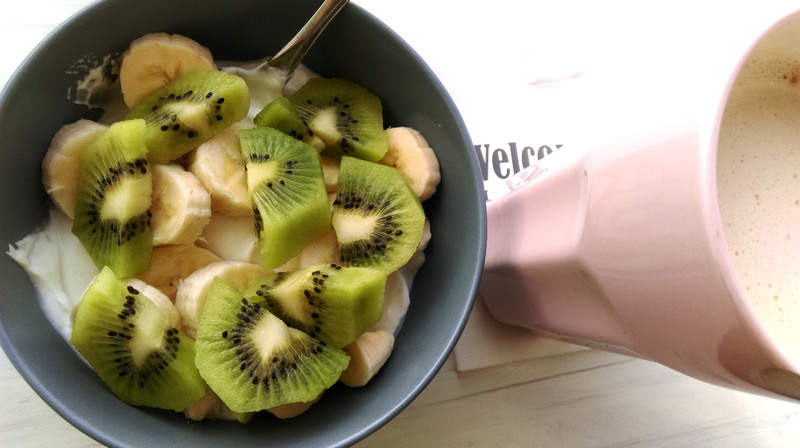 This morning I had some quark with kiwi and banana for breakfast, and of course my favorite caramel coffee (the latter is not very healthy..) I hope this will give me the energy I need today. Enjoy your day!